Social Video is HOT but what about ideal video length? 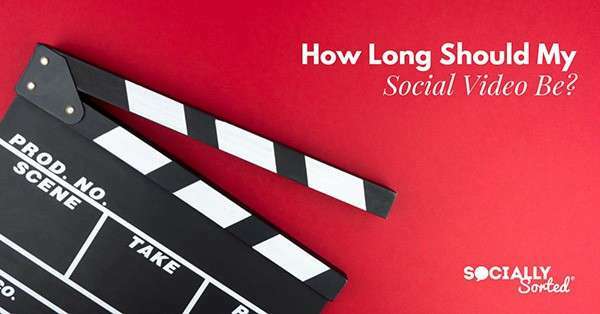 A question that is often asked is “How Long Should Your Social Video Be?”. Just about every platform now showcases video. 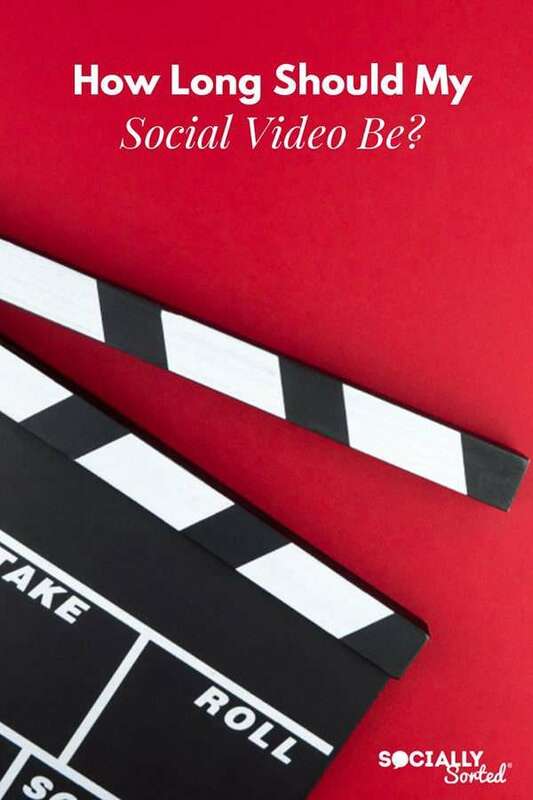 So, in this post we look at the different types of social video, the ideal video length for each and how you can leverage social video in your business – and we’ve included a handy infographic! It’s hard to find a form of marketing that is more captivating than video. There’s been a lot written on video marketing. If a topic is covered by such media outlets as Forbes itself, you know it’s something you should be doing! However, when just starting with video marketing on social, creators tend to forget that the most important thing to keep in mind is ideal video length. What’s the Ideal Video Length for Your Social Videos? Just because you can upload a 20-minute long video to Facebook, doesn’t mean you necessarily should! With social video marketing, not only do you have to take into account the ever-shrinking human attention span but also the channel you are using in the first place. How Long Are Instagram Videos? Instagram is wildly popular and should be on every marketer’s radar. If you really want to take the full advantage of this platform, video for Instagram should be on your to-do list. But what is the optimal length for Instagram videos? Starting from 2016, the maximum length for an in-feed Instagram video is 60 seconds. Most viewers on Instagram taper off after a minute anyway, so making the cap one minute makes perfect sense. After all, this platform was created for sharing images in the first place! Instagram Stories has helped to increase the amount of time people spend on the platform, according to Instagram. Over 50% of businesses on Instagram recognized Stories to be a great marketing instrument. 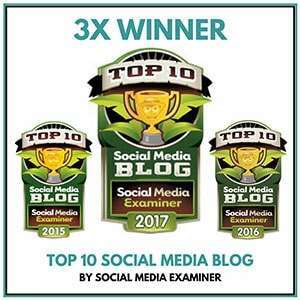 What is the maximum length for an Instagram Story video? Unlike in-feed videos, an Instagram Story video can only be up to 15 seconds long. The good news is that Instagram allows you to add as many video stories as you want. 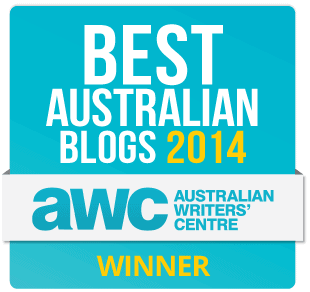 Have a story in mind? Break it into 15-second chunks to make your subscribers click through the whole thing! Live videos are a hot topic now. Almost every major social platform has already added this feature, and Instagram is no exception. The maximum length for a live video on Instagram is 1 hour. 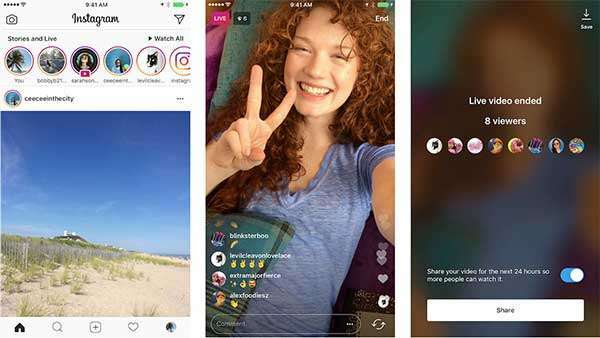 Once you finish live streaming, the video is going to be available for your audience in the Stories and Live section at the top of the interface. Oddly enough, even though regular story videos can only be up to 15 seconds long, the live video is going to be available in full after you finish live streaming. 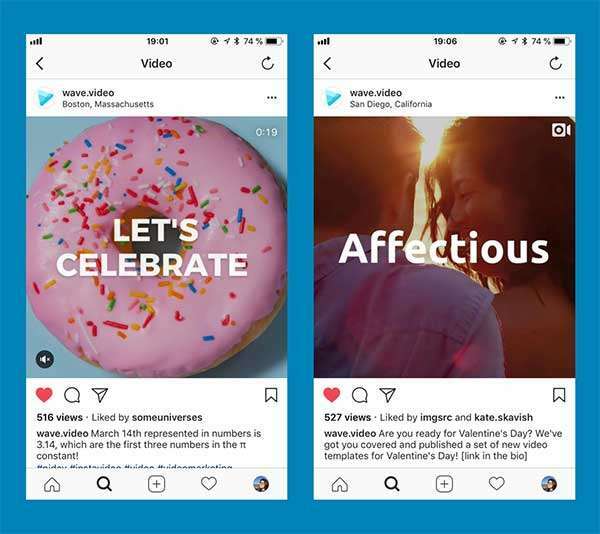 Just like native in-feed videos, Instagram in-feed video ads can be up to 60 seconds long. With this significant increase from the initial 15-sec restriction, advertizers can put more creative resources into telling a story about their service or product. Limitations for Instagram Story video ads are equal to those for regular Stories. The video can be up to 15 seconds long. How Long are Facebook Videos? Compared to Instagram, Facebook users are accustomed to longer pieces of information. So it’s understandable that videos here can be a bit longer as well. Apparently, Facebook is striving to keep its users on the platform for as long as possible. How else could we explain the fact that the maximum length for an in-feed Facebook video is whopping 240 minutes? However, as a general rule, shorter videos get your full message across on mobile and News Feed most effectively. The average length of the most successful videos varies from 24 to 90 seconds. Similarly to Instagram, Facebook Stories are short user-generated photo and video collections that disappear after 24 hours. Videos can be 20 seconds long. Facebook Live is a great way to put yourself out there and connect with your audience in real time. The time limit for a Facebook live is 4 hours. And while there is no minimum time for how long you can go live on Facebook, it’s best if your stream is at least 10 minutes long. Facebook itself states that longer broadcasts attract more viewers, as more people have a chance to learn about the broadcast and tell their friends. Ideal video length varies depending on the tool, audience and context! A cover video has to be 20 to 90 seconds long, but the good news is that it’s automatically looped, so it’s not going to seem too short. Profile video is another brilliant Facebook feature that should definitely be considered as a way to attract users’ attention to your page. You can record or upload a video of up to 7 seconds, or use an animated GIF. Facebook offers a great variety of different ad types for businesses to try. 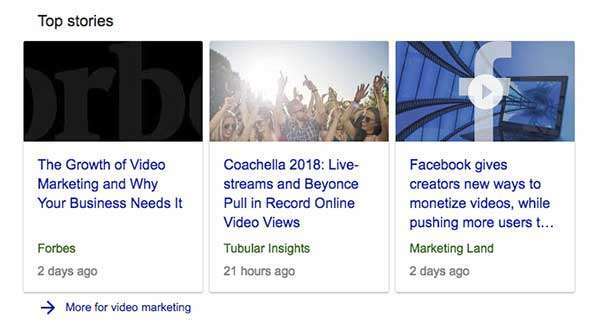 You can place in-feed ads, as a carousel, instant article, with or without links, and even in-stream ads! Here are the specs for them all. How Long Are Twitter Videos? Twitter users got accustomed to short bursts of necessary information, and the Twitter video length is very reflective of this tendency. Due to this fact, videos you post on Twitter have to be as short as you can get them to be. Twitter videos must be no longer than 2 minutes and 20 seconds. However, just like with any other platform, I’d recommend that you are mindful of how you use your time. Just because you can post Twitter videos of this length, doesn’t mean you should. Video examples like Twitter’s own video explaining video uploads on the platform is only 29 seconds. This shows that shorter – meaning under a minute – is always better. With Twitter video ads, everything is quite simple. The maximum length for ads is the same as for native posts: 2 min and 20 sec. How Long Are YouTube Videos? YouTube is a whole different real in terms of the video length. YouTube users are accustomed to longer content. It’s no secret that sometimes people not only watch longer tutorials and how-to videos but also entire TV shows and movies on this platform. According to HubSpot, engagement was highest on videos around 2 minutes in length – suggesting that this time interval works well for this platform for engagement. 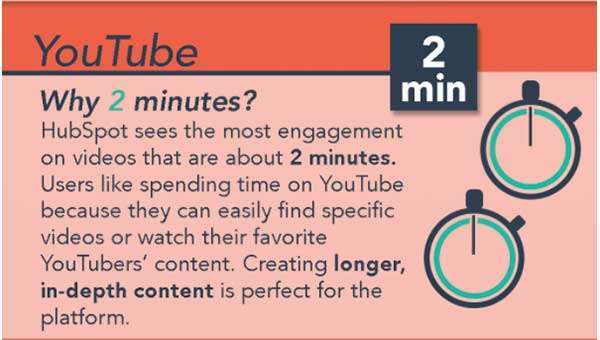 Based on this, if you are uploading some type of an educational video to YouTube, try keeping it under 2 minutes, to see if this works for engagement for you too. Moreover, YouTube doesn’t have any time restrictions for a live broadcast. So it’s worth experimenting with different video length on YouTube to see what is the most effective. It will depend on the type of content and your audience. How Long Are Pinterest Videos? According to Pinterest studies, 75% of their active users say they’re likely to watch videos about topics that interest them, and 67% claim that video inspires them to take action. So, adding Pinterest to your video marketing strategy is essential. The maximum length of a video on Pinterest is 30 minutes. However, the recommended length for a Pinterest promoted video is only 15-30 seconds. How Long Are LinkedIn Videos? LinkedIn was the last platform to roll out the ability to upload native video, having added this feature in August 2017. LinkedIn has provided some best practices on how to share videos using its new upload feature. In particular, the platform suggests that most videos be kept ‘between 30 seconds and five minutes long’. It’s obvious that this social network is aiming for more nuance providing valuable and in-depth information! The length of LinkedIn video ads must be three seconds to 30 minutes. However, LinkedIn clearly states that most successful video ads are less than 15 seconds long. The most important thing to understand about all of this is that despite the listed video lengths for each platform, there is truly no “one size fits all” approach to the format. You could have filmed a video filled with animation and other effects that fall right within the video length Instagram suggestions – and it won’t mean a thing if the content itself is not compelling! At the end of the day, focus on creating compelling, captivating content FIRST. Worry about issues like ideal video length once you’re sure you’ve reached that point! 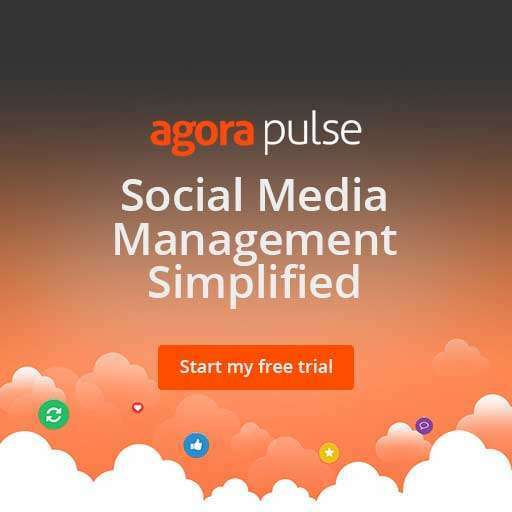 What social platform works best for you in terms of video? What have you found to be the ideal video length for that platform? Share in the comments below!